Ravens' Hollow is a growing generic medieval fantasy city perfect for wargaming and role-playing games. Each building's STL bundle comes as a zip file and prints as a flat-pack so you can print your buildings faster, cheaper, and with more detail than other printable buildings on the market. 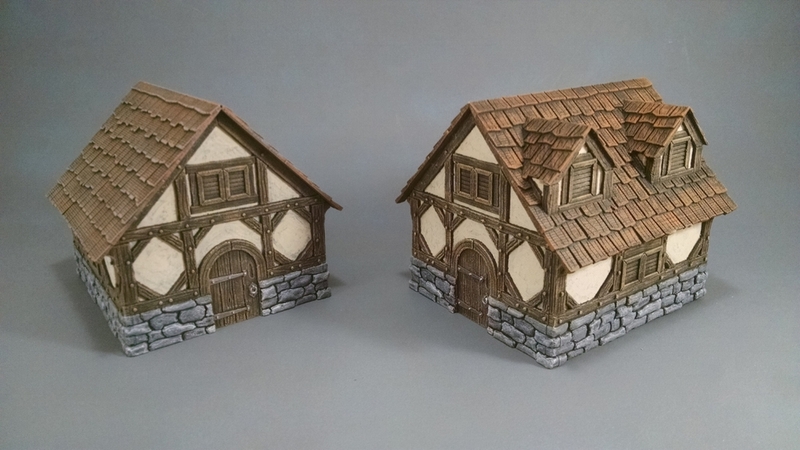 But even more importantly, all of the buildings have additional parts, which will allow you to print several distinctly different looking buildings from the same file pack. The classic medieval dwelling. Use it as a residence or as a place of business, either way it is commoner's paradise! A collection of five stone buildings for your city, including the Tavern, Guild Hall, Baker, General Store, and Small Stone House.